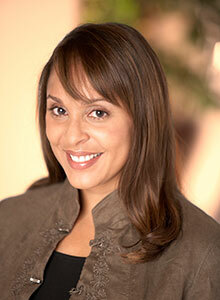 Natasha Trethewey is the Robert W. Woodruff Professor of English and Creative Writing and director of the Creative Program at Emory. Photo by Joel Benjamin. Former U.S. Poet Laureate Natasha Trethewey will deliver the keynote address at Emory University's 172nd commencement ceremony Monday, May 8. She also will receive an honorary Doctor of Letters degree. One of the foremost voices in contemporary poetry, Trethewey is the Robert W. Woodruff Professor of English and Creative Writing and director of the Creative Program at Emory. She served two terms as the 19th Poet Laureate of the United States (2012-2014). In 2014, Trethewey placed her archive at Emory, joining a rich collection of literary assets at the university, including the papers of Alice Walker, Lucille Clifton, James Dickey, Seamus Heaney, W.B. Yeats, Ted Hughes and former University Distinguished Professor Salman Rushdie, among others. Her first poetry collection, “Domestic Work,” won the inaugural 1999 Cave Canem poetry prize (selected by Rita Dove), a 2001 Mississippi Institute of Arts and Letters Book Prize, and the 2001 Lillian Smith Award for Poetry. Her second collection, “Bellocq's Ophelia,” received the 2003 Mississippi Institute of Arts and Letters Book Prize, was a finalist for both the Academy of American Poets' James Laughlin and Lenore Marshall prizes, and was named a 2003 Notable Book by the American Library Association. In 2016, Trethewey was awarded the Academy of American Poets Fellowship for distinguished poetic achievement. She is the recipient of fellowships from the Guggenheim Foundation, the Rockefeller Foundation, the Bunting Fellowship Program of the Radcliffe Institute for Advanced Study at Harvard University, and the National Endowment for the Arts. Trethewey is also the recipient of the 2008 Mississippi Governor's Award for Excellence in the Arts and was named the 2008 Georgia Woman of the Year. In 2009 she was inducted into the Fellowship of Southern Writers, and in 2011 was inducted into the Georgia Writers Hall of Fame. In 2012 she was named Poet Laureate of the state of Mississippi and the 19th Poet Laureate of the United States. In 2013, she was inducted into the American Academy of Arts and Sciences. Sarah Blaffer Hrdy, professor emerita at the University of California, Davis, and author of five books including “The Langurs of Abu: Female and Male Strategies of Reproduction” (1977), the first book to examine the reproductive strategies of nonhuman primates from the perspective of both sexes; “The Woman that Never Evolved” (1981, new edition 1999), selected by The New York Times as one of the Notable Books of the Year; and “Mother Nature: A History of Mothers, Infants and Natural Selection” (1999), chosen by Publisher’s Weekly as one of the Best Books of 1999.